We are a small artisan bakery, specializing in REAL FOOD, with no additives or chemicals. Wonderful favours, everything is made by hand the old fashioned way. We service the local community and send orders all over the world. We are situated in beautiful Larder Lake in Northern Ontario Canada. Our breads are simple and organic, pastries and pies, are all old traditional recipes from the British Isles. Our chef/baker is Starky, imported from Devon UK. We hope you enjoy viewing this site and that it inspires you to eat better. Keep it simple, fresh and organic. Make time for that meal or snack, slow down !!! why rush to your grave... Life is a journey, enjoy it !!! 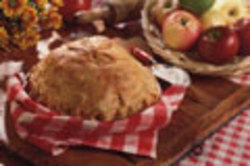 We have a photo album of all our products with descriptions, just scroll down to the bottom of the page and click..
Pies come in two sizes 4 oz and 1 lb. family size, available in shortcrust or flaky pastry. 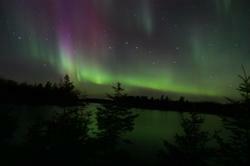 Mother nature as you can see from thie beautiful photo of the Northern Lights, below, always gets it right, and we aim to do the same. email/ phone us your order from the product list, or make a request, we will endeavour to please. Payments are by Paypal only at this time. Check out the Product List regularly, we bake with the seasons, using fresh products only, nothing is frozen. We update and add to our lists every month. 1) Shipping Charges are determined by destination and the weight of the total order. Extra charges are payable for express delivery. 2) We will inform you of shipping charges in your confirmation of order. No charges will be made until you have confirmed you wish to proceed. Hi "Larder Lakers", here are some special products just for you.